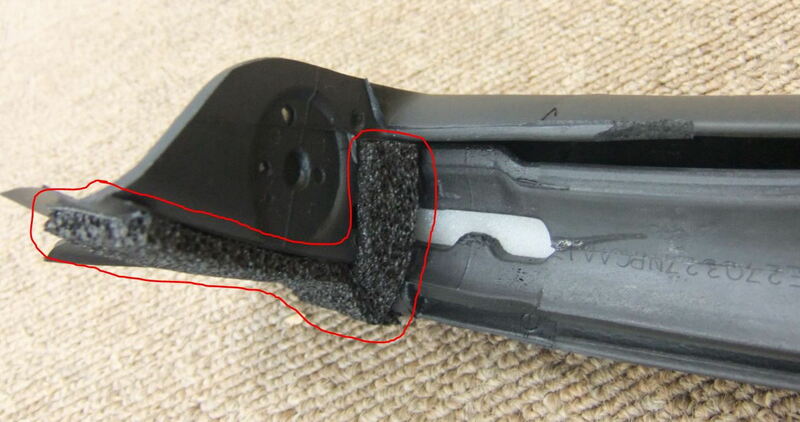 72391-S2A-013 : Does anyone know if i need to remove the foam/spongy material before installing? Is it supposed to have some sort of tape/adhesive underneath? I installed it as it is right now and i am still getting water leak in the corner where this foam/spongy part is. Bought an engine rebuilt by a random shop, and then. . .